How to dance the messa di voce? 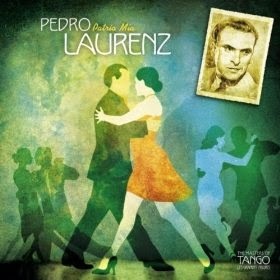 A frequent question from my students over the years has been 'how to dance the long drawn out moments in tango music? They are referring to the moments in a tango song when there is no beat; when all you hear is the singer stretching out one strong, clear note. So how does one dance such moments, where the vocals glide, and it feels as if time stands still? Mari is referring to a messa di voce moment in Pedro Laurenz's Alma de Bohemio. Here's a video of one of my favourite tango bloggers Iona Italia, a.k.a Terpsichoral Tangoaddict, dancing with John Miller, to Alma de Bohemio. It's an excellent example of how to dance the messa di voce. Notice how they treat the vocal glide at 1:18 - 1:33. John pauses and breathes in the music. Iona ornaments, her free leg expressing the melody. It's a beautiful moment in their display; a moment where their connection, their communion, is accentuated. Moving on from the topic of sustained notes; and as So Tango's intermediate class is currently focusing on the americana - I draw our students' attention to the americana moves at 0:14, 0:20 and 0:38. There's also some lovely ornamentation to the faster parts of the music. For example, see Iona's footwork at 2:18 - 19. How perfectly her little taps mark the end of the musical phrase. John and Iona show great connection to each other and respect for the music, and that, for me, is what tango is all about. Iona is a writer and tango teacher based in Buenos Aires. She can be contacted for her teaching and writing services via her Facebook Page. John is a teacher, performer, and DJ based in Denver, Colorado. This post was inspired by 'Dancing the Note - Laurenz "Alma de Bohemio' in My Tango Diaries.